Final Closeout on the Grand Design Solitude 377MB Fifth Wheel! 2016 is almost over, and that means that we are having some huge sales on our 2016 models! Take the Grand Design Solitude 377MB for example. 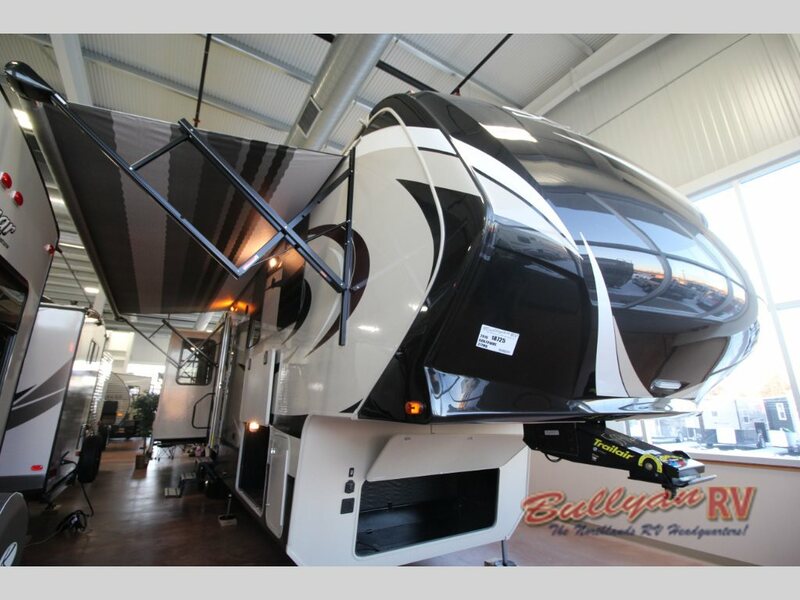 You can get this amazing quad slide fifth wheel for almost $14,000 under the msrp retail price! But you better hurry if you want to take advantage of this final closeout price. 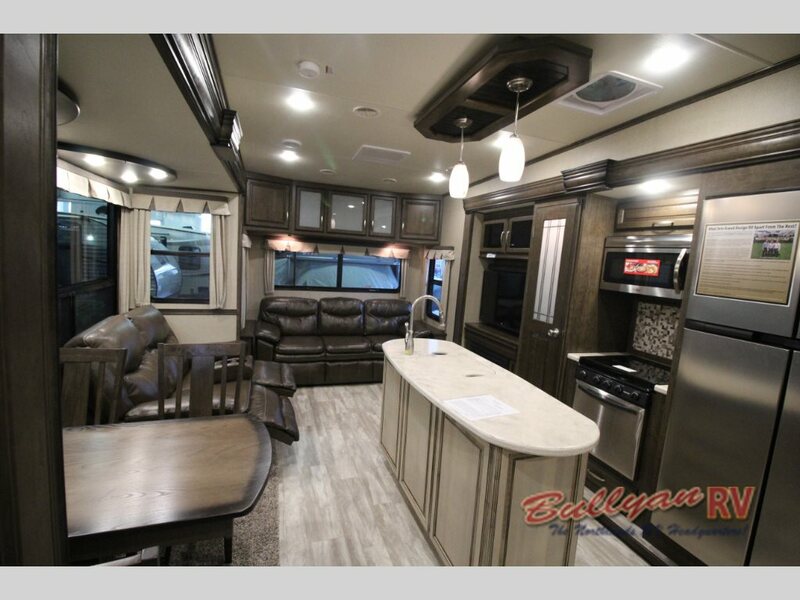 We are having a final closeout on our Grand Design Solitude 377MB Fifth Wheels! One thing about this Grand Design model is that it comes with more than just one room. This will have second room/office that will come with amenities like a closet, desk, and tri-fold sofa to make more private spaces for people to sleep. Plus, it will have an overhead loft for even more sleeping options! The living room area will house two of the four slides included in the Solitude 377MB. These dual opposing slides give you an open floorplan to fit lots of seating such as theater seats, hide-a-bed sofas, and free standing dinettes, so you will have numerous places to enjoy watching the LED TV and fireplace. 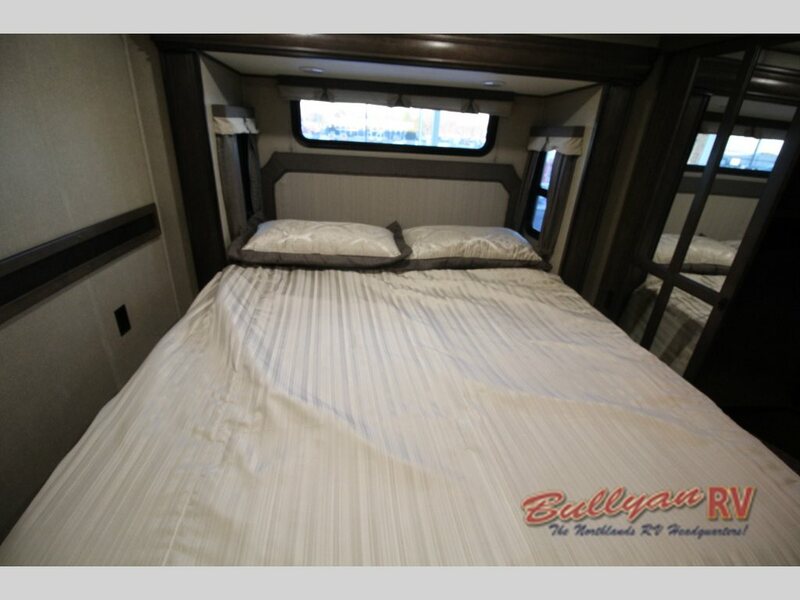 The dual slides make a spacious floorplan with plenty of room. You will also find many incredible features in the kitchen. All of the appliances are made of stainless steel including the 18 cu. Ft refrigerator, and with an island in the center and a full sized pantry, you will have plenty of counter and storage space. 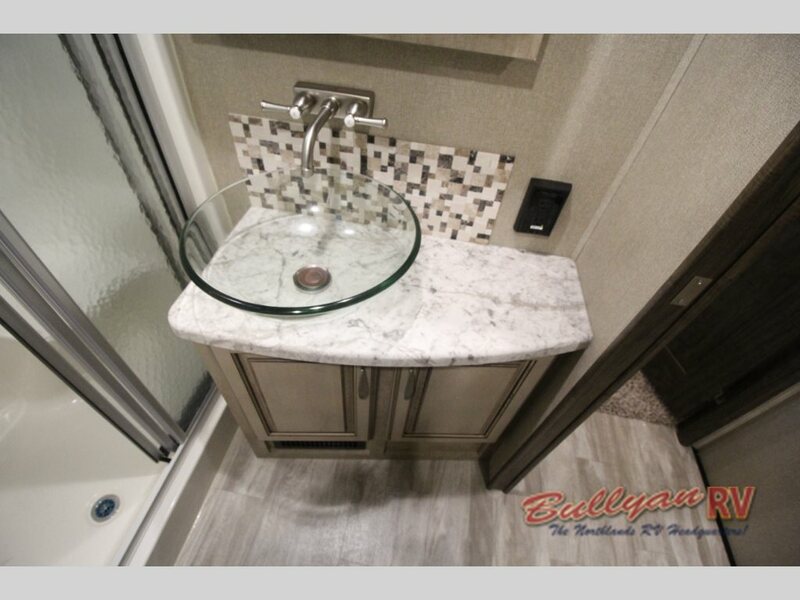 Upgrades like this glass vessel sink take this fifth wheel to the next level! Down the hallway, you’ll find the bathroom. This space will have upgraded options like an extra large shower complete with seat and skylight as well as a vanity with a beautiful glass vessel sink. With a wall closet and washer/dryer prep, the master has much more than just the king sized bed! Find the perfect place to rest in the evenings in the front master bedroom. The slideout in this area can be either queen or king sized depending on the size of bed you desire, and the slide will make the room larger to house more items like the pull-out ottoman and wall closet with washer and dryer prep. With only one of these Grand Design Solitude 377MB fifth wheel still available, we are offering it for a final closeout price! So hurry up and contact us or come to our location before somebody else snatches it up!